“I always wanted to do something for dogs and other animals as well” she said. Rita Singh, CMD of MESCO Group. Most people know her as the steel lady who broke the glass ceiling and dared to take on the big boys in the field of business. Rita Singh, CMD of MESCO Group, is one of the most successful women entrepreneurs in the country, taking her company to new heights. But she has a softer side as well. Hidden from the rest of the world, many people do not know that she is a cynophilist ~ a dog lover in simple terms ~ and has done more than her bit to save and provide care to stray dogs. However, she does not want to call it a CSR activity as part of her commitment to society. “Animals too need care and protection. I always wanted to do something for dogs and other animals as well. About a decade ago I decided to set up an ashram for stray animals, where they will be cared for in a dedicated and specialised manner,” she said. Krishna Ashram was set up on the outskirts of the National Capital (Satbari, New Delhi) about a decade ago and today it is a state-of-the-art establishment and a dedicated care centre for stray animals. The Ashram takes care of almost 1000 dogs along with other animals such as donkeys, horses, cows, etc. Till date the ashram has rehabilitated more than 2000 animals. The ashram is equipped with four doctors, three paravets and lab technicians to take care of all the needs of the animals from medicines to food to keeping them happy. Special attention is paid to the animals that are diagnosed with any illness. Following the diagnosis, the animals are provided the right kind of medication and therapy. Several animals were brought to the ashram with serious health issues and a lot of them had already lost a limb, leaving them in immense pain and discomfort. “These animals are not able to get any food for days as they are not able to move on their own. Stranded and deprived of nutrition they are on the verge of losing their lives. 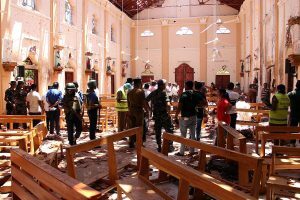 But after they are brought here to the Ashram, our doctors and paravets ensure that they not only survive, but regain their health and stay mobile on their own,” she said. 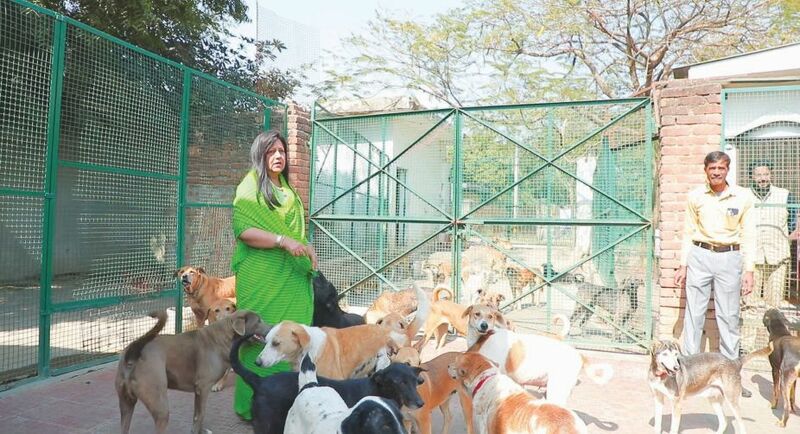 Besides the Ashram, around 200 dogs live in Rita Singh’s residence at Satbari, New Delhi. A science graduate, Rita Singh, initially refused to get married as her husband was not comfortable with the idea of keeping stray pets at home. However, seeing her immense love for the cause he changed his mind. She is now looking at building staff quarters inside the Ashram complex to provide round-the-clock treatment to the stray animals. This will ensure that more stranded animals would be taken care of at the Ashram.